Who is scared of Loki? Firstly I want to apologize for the long break I took from blogging. And I cannot blame my novel or a holiday; I did it out of pure laziness. 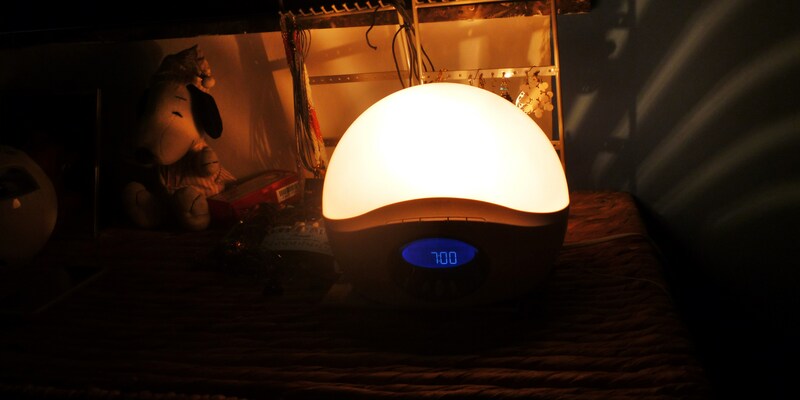 Perhaps it is the onset of winter with its short dark days and grey weather, but I have been feeling very tired lately. So I decided to give myself a little break, and not blog if I did not feel like it. But, well after more than two weeks I thought it was time to get back to the keyboard. As you might guess it has been an uneventful two weeks with lots of time in bed, reading or watching TV. But this Saturday my boyfriend’s best friend and his wife were coming to our place for the day. As usual my boyfriend went over the top with the shopping. We did not cook particularly fancy food, just some nice home made soup. But in addition to making 8 litres of soup my boyfriend got three types of bread and 14 types of topping. He also bought 4 kinds of chips, M&Ms, Maltesers and an apple cake. In the morning he took out the dog early, cleaned the apartment and drove off to pick up our friends who live in another town and would have needed two trains a metro and a tram to get here. While my boyfriend was gone Loki was lying sadly in the hallway staring at the door. After some time I got him in from the hall and closed the door, since I knew the wife is scared of dogs and thought it would help her to enter in peace. Unfortunately it did not help. When she saw Loki she went right back out again and we spent the next 45 minutes trying to get her to come in while she was chain-smoking nervously outside in the cold. We suggested many options. 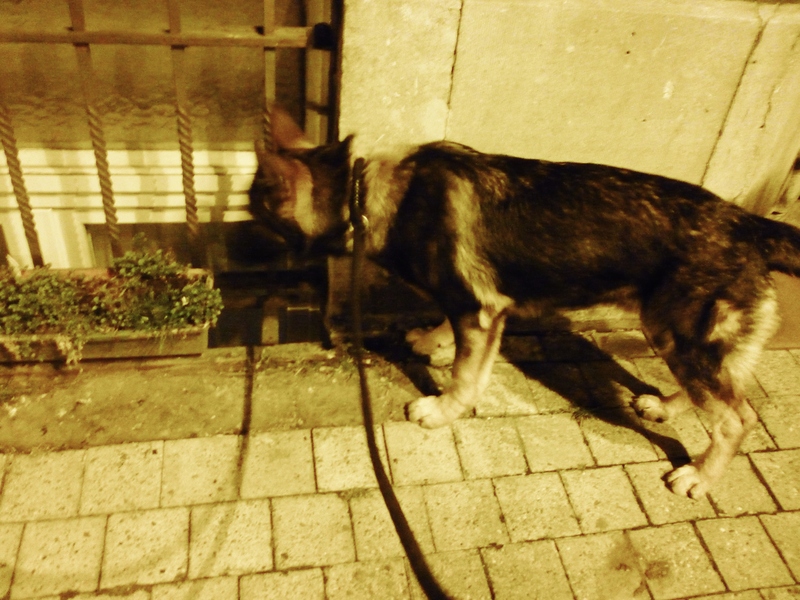 Firstly, that we would temporarily lock the dog in the bedroom so that she could enter the apartment and go into our garden. Then we could at least speak to her, and she could observe the dog through the glass and decide if she dared to come in. When that did not work we suggested to lock Loki out in the yard for the duration of their visit. We told her tales of Loki’s gentle nature and his fear of the vacuum cleaner and squeaky toys. But nothing worked. Finally my boyfriend drove them back home and we were left with enough soup and bread to feed us for a week and a arsenal of chips and sweets to permanently kill my attempts at dieting. I’m not scared of dogs but the idea of fearing them does not seem that strange to me. Dogs do have large teeth and if Loki wanted to he could easily do lots of harm. 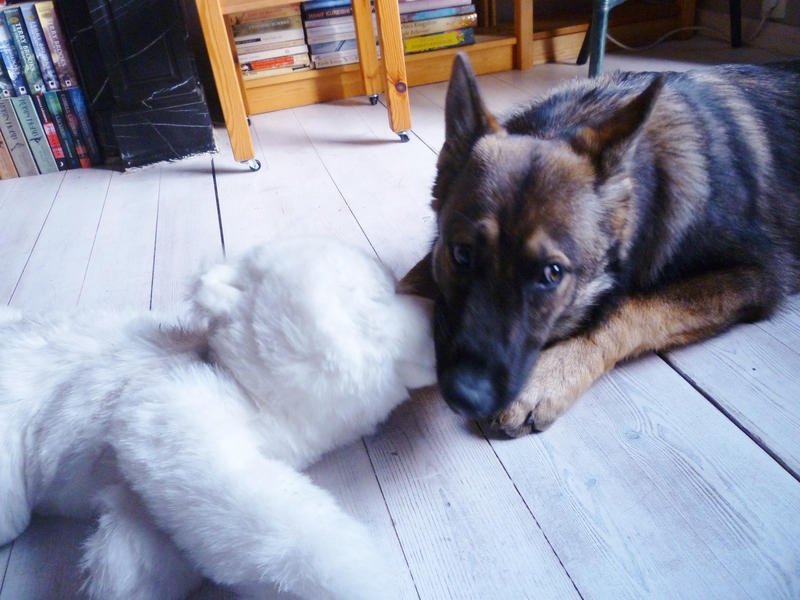 Being scared of a German Shepherd makes more sense than the fear I have for the harmless little spiders in my home. But when a closed door is not enough to keep the fear at bay, the fear begins to seem rather more irrational, like the fear my boyfriend has for high places, even with a sturdy fence as protection. Extreme fear of dogs is called cynophobia, and its is quite common, although not as common as fear of snakes or spiders. And it is quite debilitating considering the number of dogs one can find in most inhabited areas. Well, at least those who fear large dogs with scary teeth always have the comfort of being less silly in their fear than those of us who are scared of tiny vulnerable creatures, just because they happen to have 8 legs. And so I’m moving again. The 11th time I move in my life, making for an average of a bit less than 3 years per home. Having bought my current apartment, rather than renting like before, I had expected to stay somewhat longer than 2 years, but life does not always turn out the way you planned. Most evenings I take Loki, our dog, for his final walk of the day. He has already had two or three long walks in the park, so this final one is only around a block or two. The streets are calm this time of the evening, the silence broken only by the occasional car and the sounds that find there way out through open windows. The clinking of dishes, coupled with the sound of children laughing, conjures up the image of a family clearing away their dinner. In one window two people smoke, their silhouettes dark against the light in the room. During our walk Loki spends most of his time with his nose to the ground sniffing the trails and marks left by other dogs. I imagine that these marks act somewhat like graffiti tags for humans. As we walk together, me and my dog experience different realities. 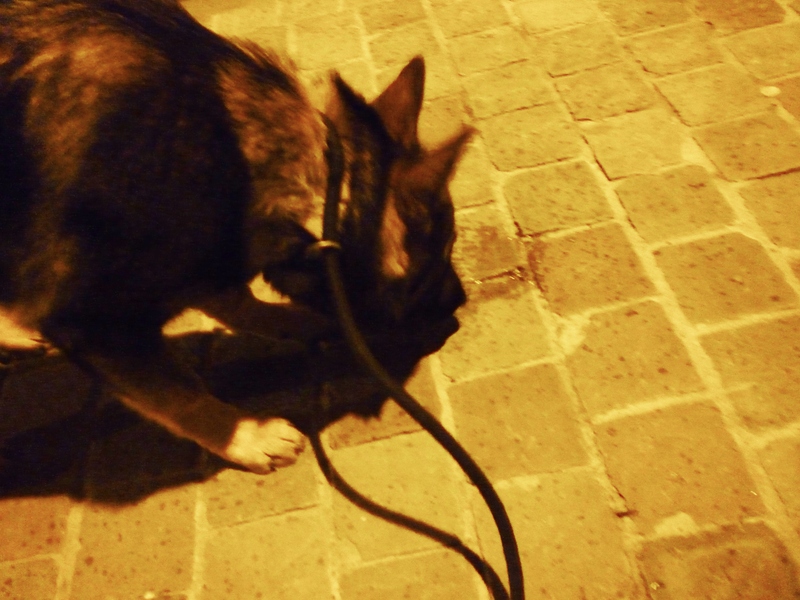 While I see a dark street lit by the orange glow of street lights, Loki is in a world of intersecting trails of scent. It is estimated that a dog smells 1000 to 10 000 times better than a human. This moves him into another reality altogether. My imagination cannot take me into his head, and I can only visualise this world of smells as a myriad of differently coloured smoke trails going this way and that, some bright and fresh, some already faded with time. I wonder about the messages left by the neighbourhood dogs, and whether Loki recognizes their signatures. At one point Loki comes accross a fresh puddle on a street corner. 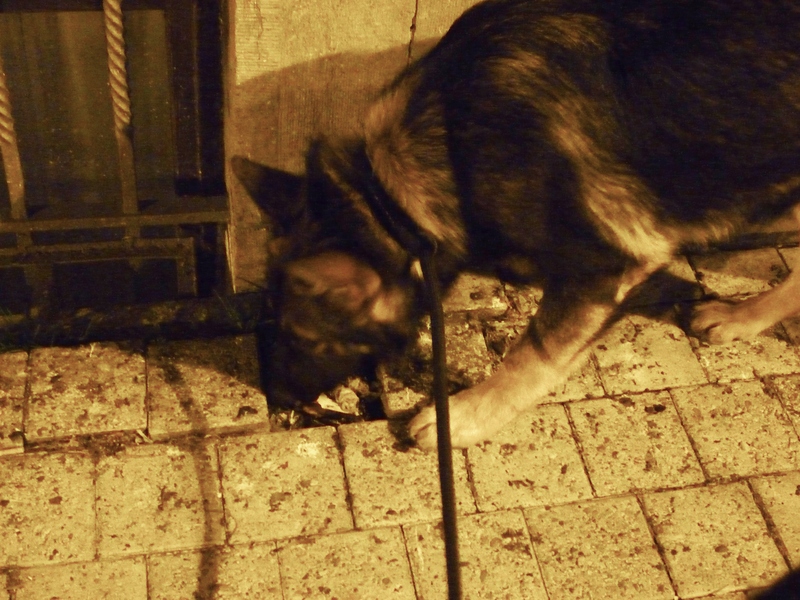 He sniffs it and then lifts his head and looks around, as if he expects the author of the puddle to be nearby. 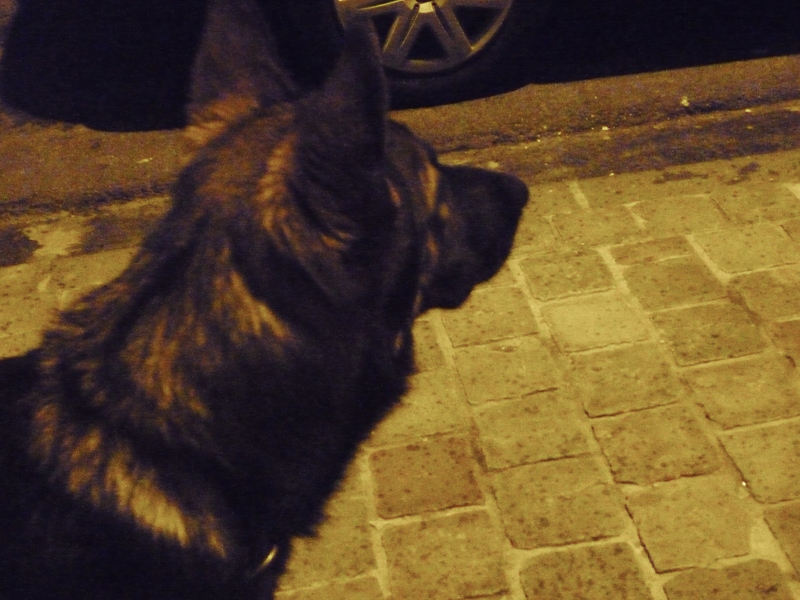 But there is nobody to be seen so he returns to deciphering the messages of the street. 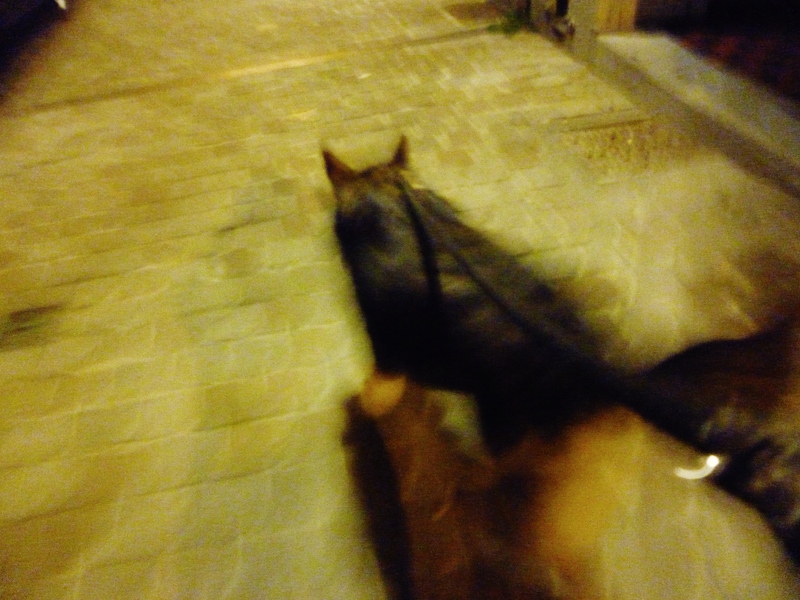 By now we have entered our street again, and Loki begins to pull the leash in his enthusiasm to get home. For some reason he is as excited to get back home as he was to leave 10 minutes ago. 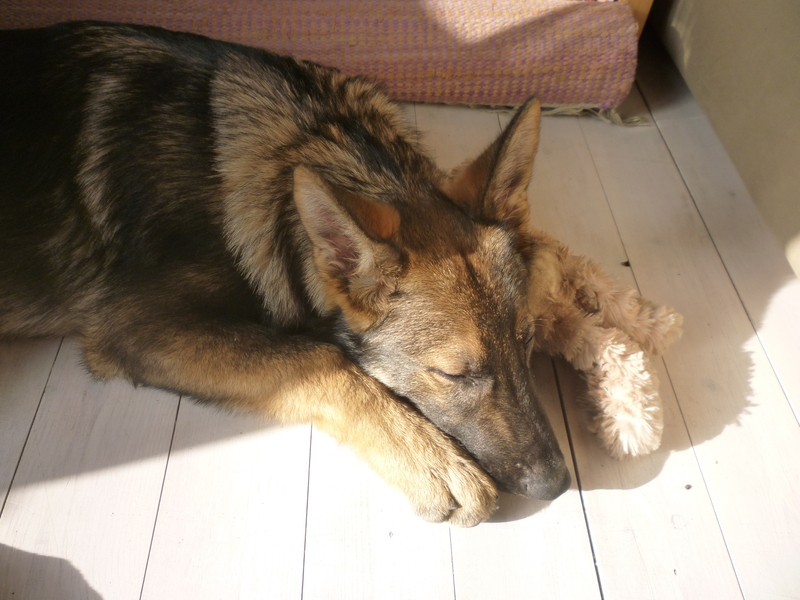 Back in the day when me and my boyfriend were disagreeing about the idea of getting a dog, I was against buying a dog (see this post), and more specifically against buying a German Shepherd. 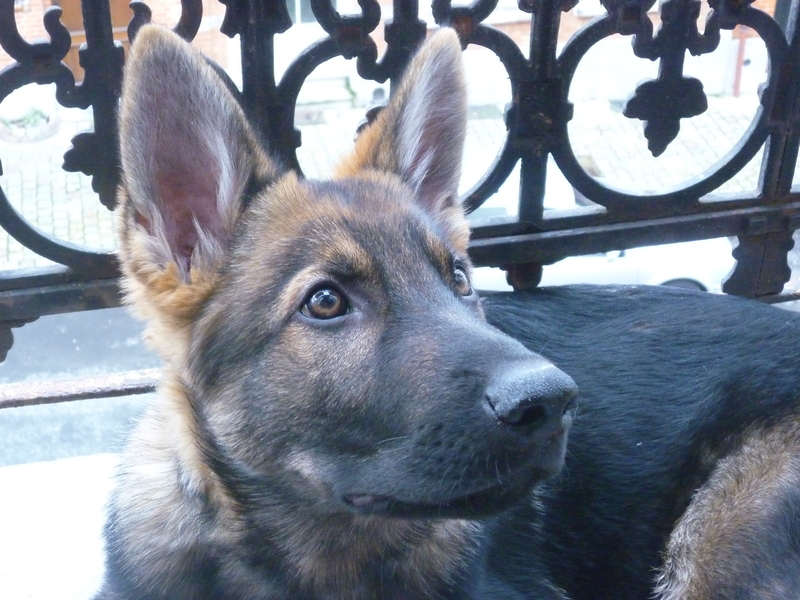 If we were to get a dog it would have to be a smaller one, I argued, since my apartment simply could not accommodate a large breed like a German Shepherd. But my boyfriend specifically wanted a large dog. 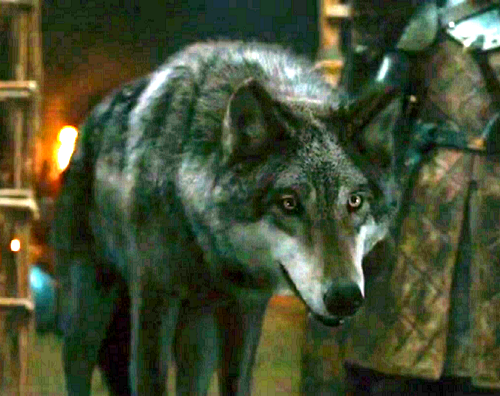 If he could have got hold of a direwolf from Game of Thrones, that would probably have been his pick, but that not being an option a German Shepherd was the next best thing. My boyfriend expected a large, strong brave dog. 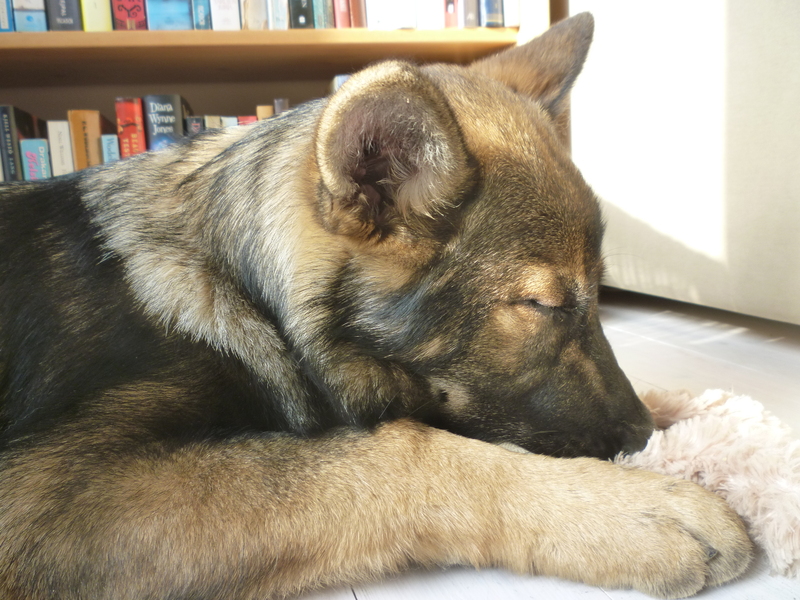 What he got was Loki, a gentle undersized German Shepherd, who runs away from even the smallest dog if he thinks his stick is under threat, and suckles his favourite toys for comfort. Loki very rarely growls and his most common mode of communication is not barking but whining. Never surrender the stick. Unless someone promises to throw it. Block the kitchen doorway. You never know what might fall when people stumble over you. Don’t give up. If you put the saliva covered ball in people’s lap often enough they are bound to throw it. Help keep the floor clean by drinking water and then running around dripping it all over the place. It is very much appreciated! When you hear the shower, HIDE! Learn to use those puppy-eyes for best effect. Nobody will be able to resist you! This week’s Weekly Writing Challenge challenged us to use a feature on WordPress, this time the possibility to add several pages to a blog post.